I really enjoy this series. Part romcom, part murder mystery, they are the perfect weekend read. The combination of romance, humor, and mystery made for an enjoyable read. Another new favorite. I didn’t know what to expect. What I got was a fun romantic, comedy, mystery. Making the whole mystery thing a simple enjoyable read. I dove right into this book and completely escaped. You get to see her stumble and fall which I think makes Mazie such a great character. She’s not perfect by a long shot. She stumbles and then picks herself up and tries again. 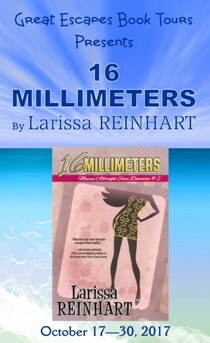 I absolutely love 16 Millimeters by Larissa Reinhart, and hereby grant it our highest rating of Five Kitties! The author has a flair for writing witty dialogue, whacky antics, and a quirky characters. 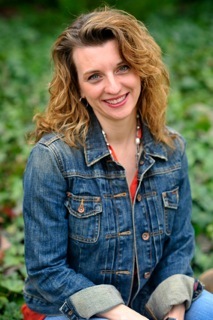 She does it well and keeps her readers intrigued throughout the story. Thank you so much, Lori! I’m so excited for the tour!